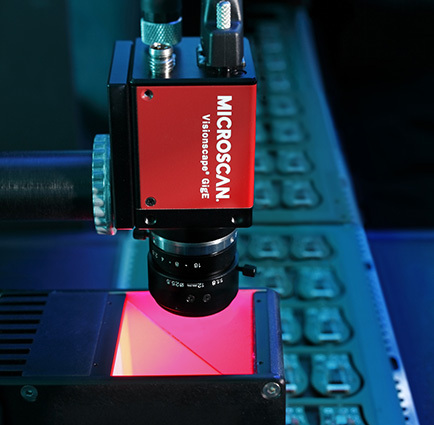 From an economical single vision smart camera system to a sophisticated eight camera application, Omron Microscan's Visionscape® GigE Machine Vision System contains all necessary components for a complete, successful machine vision implementation. PC-based Gigabit Ethernet systems leverage standard network components such as cabling, switches and interface cards. 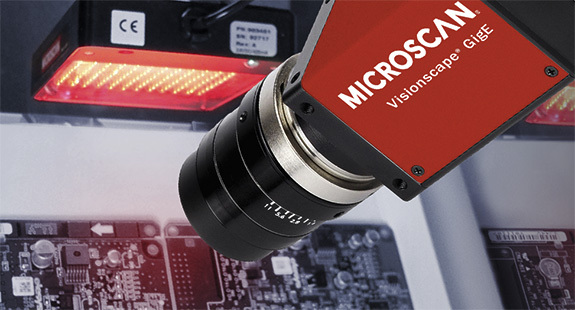 Visionscape GigE supports a complete set of Omron Microscan machine vision GigE cameras which, in combination with Visionscape software, allows for rapid deployment of any scale of machine vision solution. 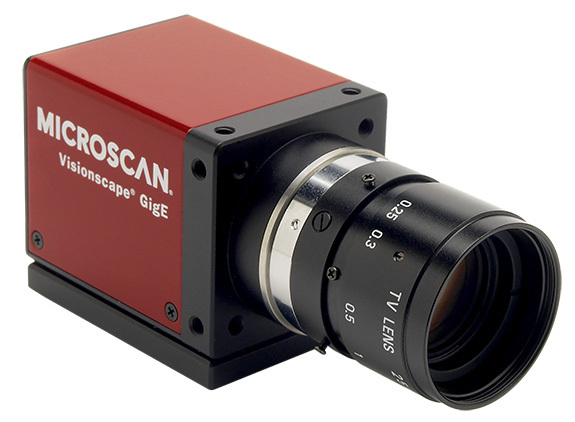 Flexible Configuration: Visionscape GigE cameras features C-mount optics, and built-in strobe and trigger connections. 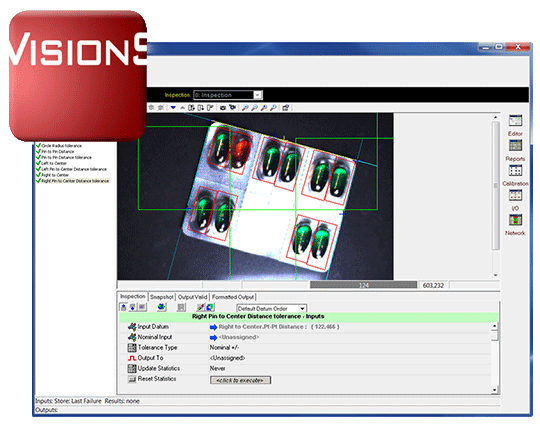 A wide variety of sensor resolutions are available, ranging from VGA to QUXGA (8 MP), with CMOS, CCD and color options. 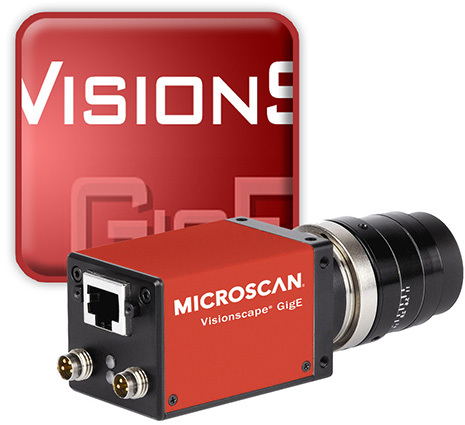 Compact and Lightweight: Most Visionscape GigE cameras weigh just 4 oz. with a small form factor to allow flexible positioning in tight spaces or mounting in robotic applications.